1. Why does e-Court calls itself a court ? 2. Is there any likelihood of confusion with the name court? 3. Is e-Court a real court ? 4. Are the e-Court judges and/or arbitrators truly independent and impartial? 5. What clause should I use in agreements to ensure that e-Court is used to resolve a future dispute? 6. Who ensures the quality of e-Court and how is its legal quality monitored? 7. Is the resolution on e-Court legally binding? 8. Is e-Court safe ? 9. Who will be deciding a verdict? 10. Does it matter where the arbitrator is located? 11. What kinds of disputes can be resolved on e-Court? 12. What are my options if the other Party does not abide by the arbitrator's decision? 13. What laws are used to determine the outcome of a dispute? 14. How does e-Court work? 15. Does it cost anything to use e-Court? 16. How does e-Court use our information? 17. Are our documents and data secure? 18. Who can see our dispute? 19. Is video conferencing available? 21. What are my options if I think the arbitrator's decision is incorrect? 22. Is e-Court a government organization? 23. Why do users love e-Court ? On the basis of the following, e-Court is referred as a private court: 1. A transparent, predictable adversarial proceeding; 2. Competent and experienced professional judges and/or arbitrators; 3. Reliable and impartial judges and/or arbitrators; 4. An affordable procedure, including the legal costs of legal aid; 5. A binding verdict. e-Court has many safeguards build in the process. 1. We select judges and/or arbitrators who are able to assess whether a conflict of interest exists. 2. 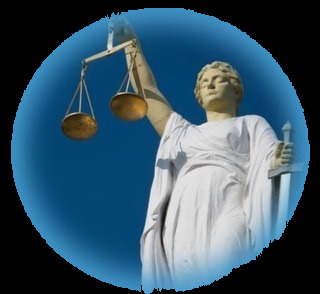 We make appointments with judges and/or arbitrators based on a strict code of conduct. 3. Parties may make a request to challenge any ruling if they believe that the judges and/or arbitrators have not been independent and/or impartial. 4. There is an evaluation system in each case, where parties, with ( if applicable ) the representing lawyers and judges and/or arbitrators give feedback on the e-Court procedure. 5. There is appeal possible where a new judge and/or arbitrator looks at the case. 6. Contact with the judge and/or arbitrator is only possible through the e-Court system. What clause should I use in agreements to ensure that e-Court is used to resolve a future dispute? Any controversy or claim arising out of or relating to this contract, or the breach thereof, upon the request of either party, shall be settled by final and binding arbitration administered by e-Court online at www.e-Court.ca under its Arbitration Rules, in lieu of litigation, and judgment on the award rendered by the arbitrator(s) may be entered in any court having jurisdiction thereof for enforcement purposes. Is the resolution on e-Court legally binding? Yes. The verdict of e-Court has the same effect as a verdict of a traditional government court and is based on 'contract' law according to Indian common and civil code legislation. To be valid and therefore legally binding, five conditions must be met, please view conditions. This means that cooperation of the other party can be enforced according to and in which province respective parties reside. Also read verdict. 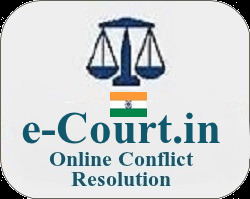 e-Court provides a pre-arbitration agreement which the Parties sign online. In this agreement the Parties agree to abide by e-Court's Arbitration Rules and to be legally bound by the arbitrator's decision. The arbitration decisions made by the arbitrators on e-Court are enforceable in courts of law in the US, India, Canada, the UK, Australia, South Africa, and 144 other countries that are signatories to the New York Convention. A list of the signatory countries is available on the UNCITRAL website. The increasing awareness of online fraudsters and cyber criminals has presented an opportunity for ecommerce providers to capitalize on consumer fears by displaying trust indicators. Just like the real world, people need to be confident before they proceed down an unknown path. When a SSL Digital Certificate is installed on a web site, users can see a green padlock icon inside the browser. View also Video. Who will be deciding a verdict? Depending on the wishes of the Parties to the arbitration, e-Court will either assign an experienced arbitration attorney or a retired judge from e-Court's list of arbitrators that have been vetted and pre-approved by e-Court's advisors; e-Court's advisors can be found on our "Advisors & Arbitrators" page. Or the Parties can choose their preferred arbitrator whether they are part of our roster or not. In absence of an agreement between the Parties to the contrary, e-Court will assign an arbitrator from its pre-approved list of arbitrators based on expertise required for that particular dispute. Does it matter where the arbitrator is located? No, but notwithstanding this e-Court attempts to offer the conflicting parties "if available and applicable " a choice of an arbitrator or judge from their own jurisdiction or from a different one. However, an arbitrator does not have to be located in your jurisdiction for the arbitration Award to be legally binding and enforceable in court in your jurisdiction. Due to various national, state arbitration laws and The Convention on the Recognition and Enforcement of Foreign Arbitral Awards it is irrelevant where the arbitrator lives or where the arbitrator served on the Bench. The arbitrator can even be in a different country as long as it is one of the signatory countries to the New York Convention. Most types of business disputes can be resolved on e-Court. e-Court handles civil matters common to medium size & small businesses and individuals in accordance with either the common law and/or the civil-law tradition in India. Business dispute examples: partnership disagreements, non-payment for goods or services, inadequate goods or services delivered after payment, supplier disputes, debts owing, breach of contract, employment, landlord-tenant, lease, franchise disagreements, real estate agreements, et cetera. e-Court is able to resolve many other business disputes. e-Court shall not consider bankruptcy law, criminal matters, fiscal and administrative matters. Is the area relative to your situation not mentioned above? Send us an email via : info@e-court.ca or call the Service Desk. What are my options if the other Party does not abide by the arbitrator's decision? This rarely happens. It is highly unlikely that the other Party would risk ignoring the Award since they agree in the pre-arbitration contract to pay for all the costs to enforce it if they don't abide by the Award, including attorney fees. But if it becomes necessary, you can ask a court, in a summary motion or application, to "confirm the Award" (convert it into a judgment) and then enforce it just like you would any court judgment (e.g. seize assets, garnish bank accounts). If the Award is for a local dispute (not international), it can be confirmed and enforced under that country's or state's/province's applicable arbitration Act. If the Award is for a cross-border commercial dispute, it can be confirmed and enforced in any of the 149 countries that are signatories to the New York Convention. Although confirmation of the Award requires judicial involvement, it is typically a summary proceeding which is relatively quick and inexpensive - it is NOT litigation and NO trial is required. The various state and national arbitration Acts (legislation on arbitration) have laws dealing with arbitration awards that express a presumption that courts will convert ("confirm") an arbitration "award" (the arbitrators' decision) into a court judgment on a summary application or motion to the court, unless there are extenuating circumstances such as fraud, corruption, prejudice, or something similar. The court plays a mostly administrative role in confirming the Award. The Party simply has to follow the applicable procedures and rules for this type of application to a court which has proper jurisdiction, and the confirmed Award becomes an enforceable judgment. What laws are used to determine the outcome of a dispute? e-Court handles civil matters common to medium size & small businesses and individuals in accordance with either the common law and/or the civil-law tradition in India. 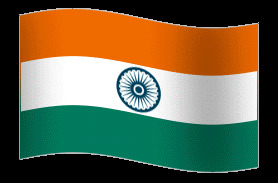 India's legal system derives from various European systems brought to this continent in the 17th and 18th centuries by explorers and colonists. Although the indigenous peoples whom the Europeans encountered here each had their own system of laws and social controls, over the years the laws of the immigrant cultures became dominant. India's criminal and civil law has its basis in English common and statutory law. The tradition of civil law is quite different. It is based on Roman law, which had been scattered about in many places, in books, in statutes, in proclamations, until the Emperor Justinian ordered his legal experts to consolidate all the laws into a single book to avoid confusion. Ever since, the civil law has been associated with a 'civil code'. Quebec's Civil Code, first enacted in 1866 just before Confederation and amended periodically, was recently thoroughly revised. Like all civil codes, such as the Code Napoleon in France, it contains a comprehensive statement of rules, many of which are framed as broad, general principles, to deal with any dispute that may arise. Unlike common-law courts, courts in a civil-law system first look to the Code, and then refer to previous decisions for consistency. The term 'civil law' is used to mean two quite different things, which can be a little confusing at first for people trying to understand the justice system. Sometimes the term is used in contrast to 'common law' to refer to the legal system that is based on a civil code, such as the Justinian Code or the Civil Code of Quebec. In its other sense, civil law refers to matters of private law as opposed to public law, and particularly criminal law, which is concerned with harm to society at large. It is usually clear from the context which type of civil law is intended. 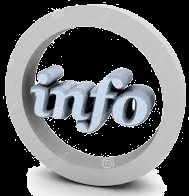 Please visit How It Works page for detailed information. Does it cost anything to use e-Court? Yes. Please visit Pricing page for detailed information. How does e-Court use our information? Your information is only available to you and those you choose to share it with. e-Court does NOT share or sell your information to third-parties, including advertisers. Our committments to your privacy includes : To prevent and control fraud.When you visit e-Court websites: e-Court only stores your visiting information together with a browser cookie, the latter to offer you relevant information in the future. You can always view and change your information through e-Court website. Your information is protected with a password. You are responsible for maintaining the confidentiality of your password. e-Court complies with the provisions re processing personal data contained in our rules & regulations. e-Court has taken all measures to safeguard information. The website is heavily protected like internet banking with leading banking institutions. A SSL Digital Certificate is installed on a web site, users can see a padlock icon in the command bar. SSL certificates provides an additional layer of protection in a strictly defined issuance process created to ensure that the certificate holder is who they claim to be. Are our documents and data secure? Our website is heavily protected like internet banking with leading banking institutions. Visitors can see a green padlock icon in the address field area of their browser. This means e-Court's operations are secured by 256-bit SSL, the highest security in the industry. Security remains constant in our attention. Notice the daily updated security certificate on bottom of the page. Who can see our dispute? e-Court encourages all Parties to use Skype group video when a arbitrator requests a video conference. A video conference will not be necessary in all cases. A video conference may replace a regular hearing. During week #4 of the standard procedures it is possible that a hearing may take place. When you submit your case you need to let us know if you wish to attend a hearing. Costs of such is not included in the Court fee and need to be paid in addition to other e-Court expenses. Upon agreement by all involved parties a video conference can easily be set up with Skype between all relevant offices wherever they are located. When conflicts deal with amounts higher than C$60,000, your attendance during an hearing is obligatory as in cases when you appeal a previous e-Court verdict. In 1986, India signed the United Nations Convention on the Reciprocal Recognition and Enforcement of Foreign Arbitral Awards, which had been adopted by the United Nations conference on international commercial arbitration in New York on June 10, 1958. This convention is commonly referred to as the New York Convention. The federal government then passed the United Nations Foreign Arbitral Awards Convention Act making the Convention part of the law of India. In essence, the New York Convention sets out a code for the recognition and enforcement of arbitral awards made in other countries. Each province followed suit and passed legislation adopting the New York Convention as part of state law. In addition to the New York Convention, the United Nations commission on international trade law, (UNCITRAL) developed a model law for international commercial arbitration. This Model Law was then adopted by the Indian federal government and all the States as a law that is to govern international commercial arbitrations that take place within their respective jurisdictions. While the Model Law was designed for international commercial arbitration, it was also used to form the basis for new domestic arbitration legislation in many States. We therefore have in India a uniform law for international commercial arbitration across all states legislation, depending on the Province for domestic arbitration. an impartial decision based on the facts and applicable law. What are my options if I think the arbitrator's decision is incorrect? e-Court offers an Appeal under a new Arbitrator. When you disagree "on valid grounds" with the decision, then there is the possibility of appeal. The case will be handled by a new independent, impartial and competent arbitrator. A further appeal is not possible, it is the end of the road. Is e-Court a government organization? No. e-Court is a private organization; we have no affiliation with any government body. Private entities are permitted by law in the US, India, Canada, UK, Australia, South Africa and many other countries to resolve disputes and issue legally binding decisions called Awards through a process known as arbitration. These arbitration Awards can be can be enforced in court if a Party does not honor it. Why do users love e-Court ? c) TASK & TO- DOS MANAGEMENT Task management system allows one to easily link tasks to matters, assign tasks to other members of your Client/firm, and monitor the progress of task completion for a specific case/matter. From appointments and tasks to docketing dates and deadlines, there are an abundance of details your Client/firm must track. Using calendar management tools, your firm can stay on top of this important information. d) CONTACT MANAGEMENT Easily create new contacts and categorize them into groups. Assign new contacts user privileges and access levels. Add all of your contacts into one place and automatically update. * Web site integration for event registrations, subscription management, contact data updates and surveys enable your firms contacts to introduce themselves and engage with you. * Automatic synchronization of firm contact data with attorney address books, allowing attorneys the option to review and accept specific data changes. * Lists to attorneys can be easily published, enabling self-service list sponsorship. * Data Migration Core (DMC) technology and best practices approach means you can deliver projects faster. e) MESSAGING Manage and organize internal client communications and say bye to the old internal memo sign ups. e-Court`s messaging system is linked to all of your clients ,thereby making all your communication smooth and easy. f) BILLING At a single mouse click,you can create professional looking invoices , all linked to a case and associated expenses.Easily generate invoices with your logo ,print or export them to pdf or excel. g) APPOINTMENTS e-Court house the most robust legal calendar and case management system anywhere in the world. e-Court law firm management software enables users to automatically schedule important dates in harmony with court rules applicable to client cases thereby eliminating error prone and time consuming manual calculations. Alternative Dispute Resolution. An ADR process is a method of resolving a dispute out of court. Mediation and Arbitration are the most widely used ADR processes. Arbitration is a means of resolving disputes outside the courts, where the Parties to a dispute refer it to one or more persons by whose decision they agree to be bound. The neutral third-party arbitrator reviews the evidence presented by the Parties and imposes a decision that is legally binding on both Parties and enforceable in a court of law. Arbitrators are not required to follow the stringent rules and procedures or the technical Rules of Evidence used in a court. Arbitrators follow a set of rules established by e-Court and, unless the Parties agree otherwise in advance, the arbitrators decisions are based on the principle of "Ex Aequo Et Bono" - what is fair and just given the circumstances and the facts surrounding the dispute - and American legal principles, not the codified or common laws of any one jurisdiction. Private entities are permitted by law in the US, India, Canada, UK, Australia, South Africa and many other countries to decide cases and hand down legally binding decisions called through arbitration. In Binding Arbitration the Parties in the dispute agree in advance that the decision by the arbitrator(s) will be legally binding and enforceable in court. The decision provided in the award is legally binding and must be honored by both Parties. Usually a court will not allow an award to be appealed, unless the Parties have agreed prior to the arbitration that appeals are permitted. The person initiating the dispute resolution process on e-Court (sometimes known as the Plaintiff). The person who responds to a complaint filed by the Claimant (sometimes known as the Defendant).